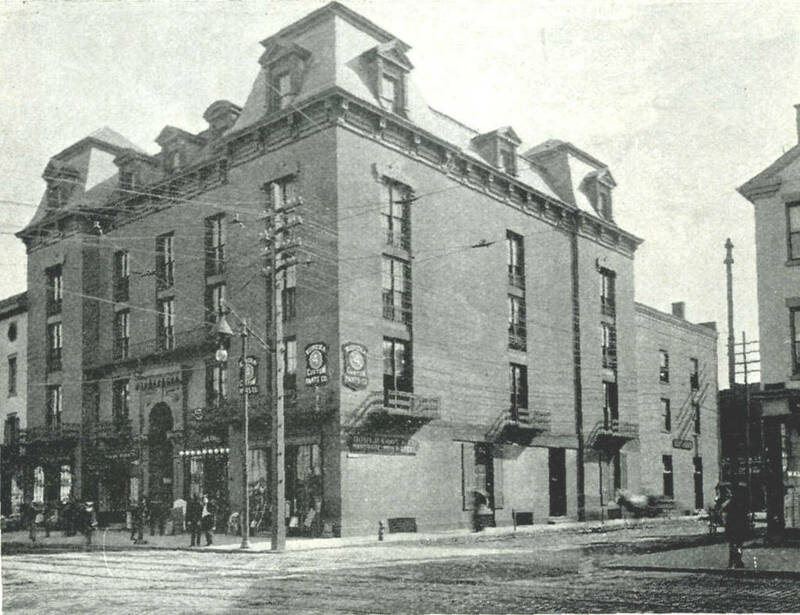 Foot’s Block at the southwest corner of State and Main Streets in Springfield, around 1892. Image from Picturesque Hampden (1892). 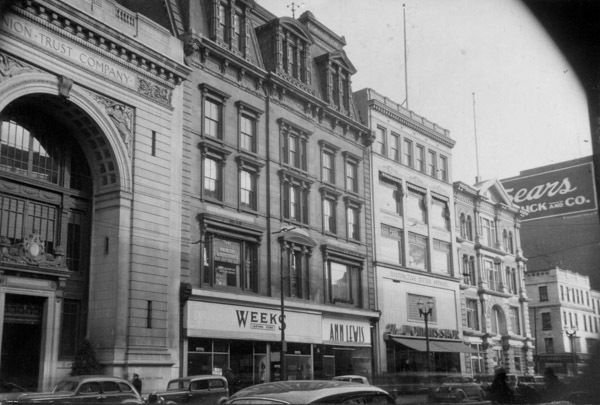 The site now occupied by 1200 Main Street has had its share of historic buildings over the years. Thomas Bates built a tavern here in 1773, which operated well into the 19th century. On the surface, it was a popular stagecoach tavern that regularly entertained visiting dignitaries like Henry Clay, Daniel Webster, and Harriet Beecher Stowe. However, it also operated clandestinely a stop on the Underground Railroad. It stood here until 1847, when it was moved a few lots west on State Street, as seen in this post, which gives more details about its history. 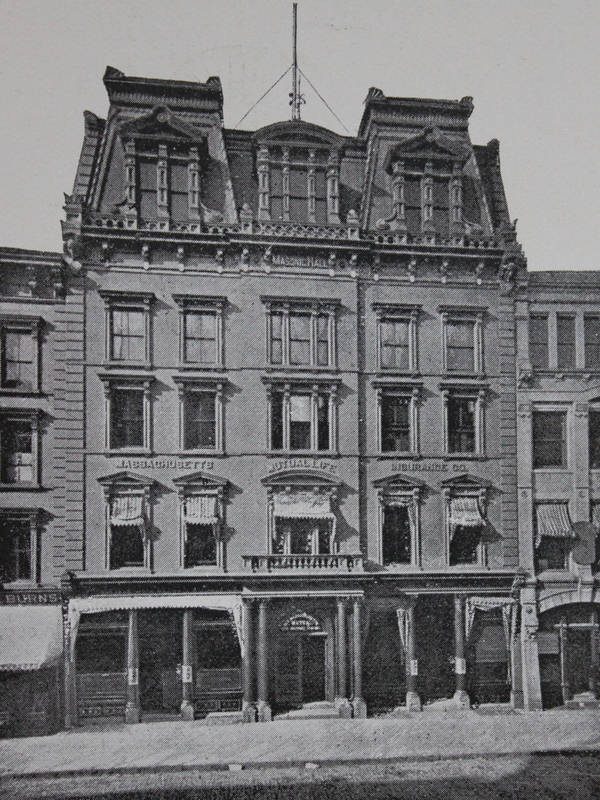 After the old tavern was moved in 1847, businessman Homer Foot built Foot’s Block, the building seen in the 1892 photo here. 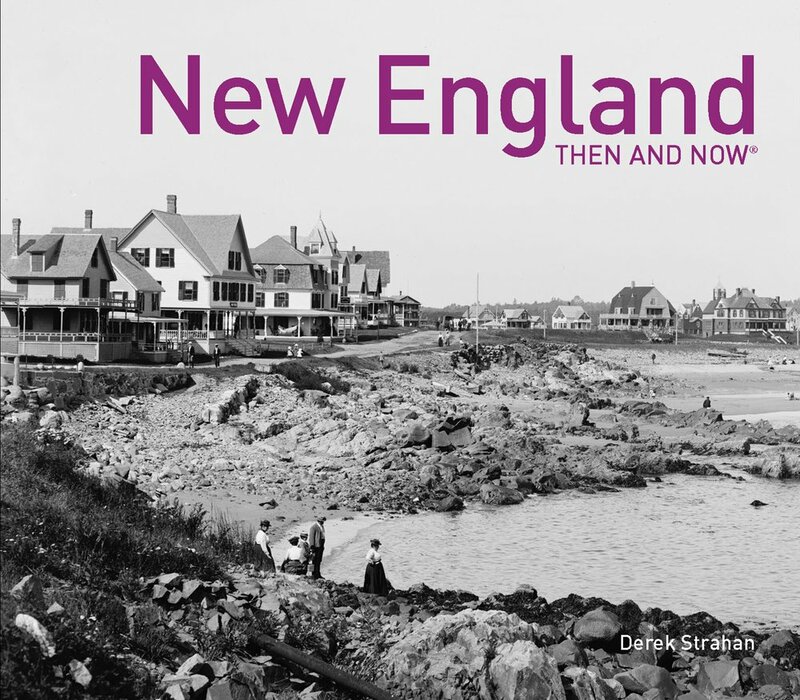 It didn’t take long for Foot to find tenants for the commercial and office space in the building; in 1851,the newly-incorporated Massachusetts Mutual Life Insurance Company rented office number 8 in the building as their original company office. 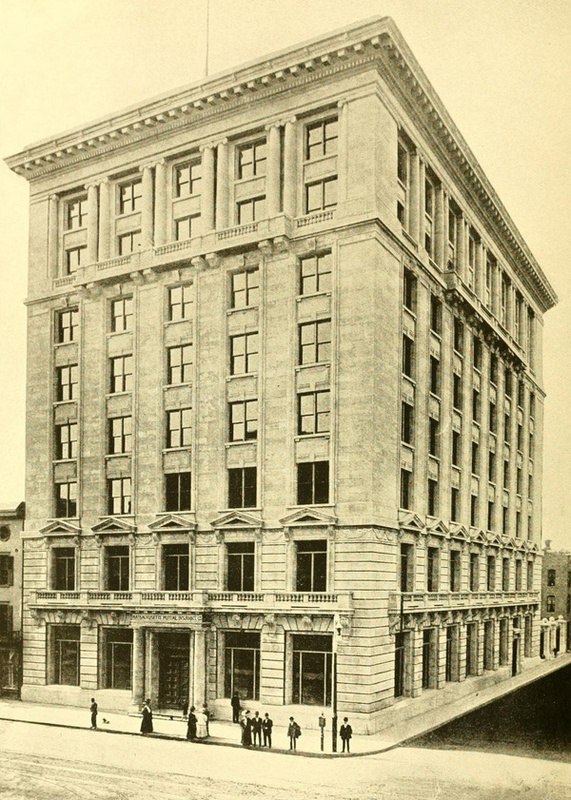 The company would later move to their own building a few blocks up Main Street, but by the first decade of the 20th century they had moved back to the corner of Main and State. 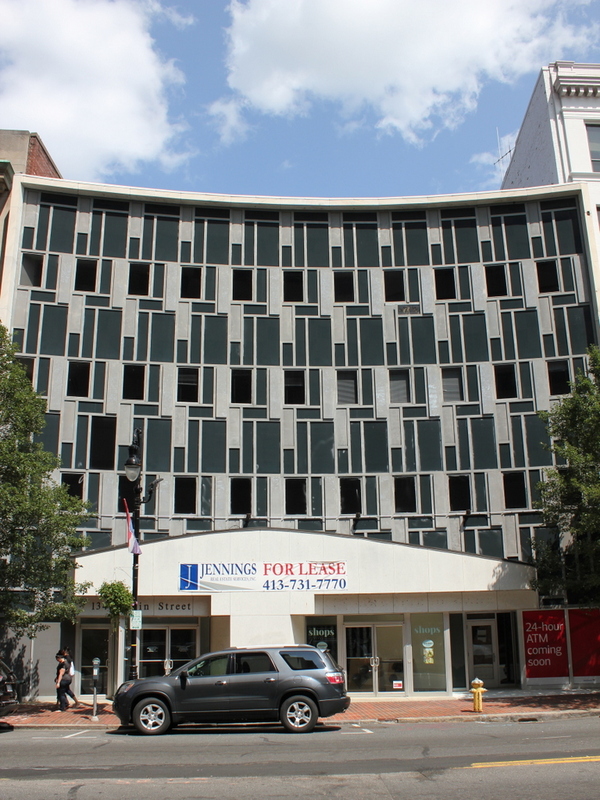 However, instead of renting a single suite as they had some 50 years earlier, they demolished Foot’s Block and replaced it with the 12-story tower that stands there today. The building was completed in 1908, and at 125 feet it is the same height as the steeple of Old First Church. In response to the construction of this building. 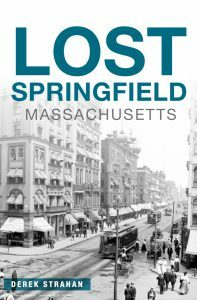 and because of fears that the city would be overtaken by modern skyscrapers, the Massachusetts legislature set 125 feet as the height limit for any building in Springfield, a law that stood until 1970. As a result, despite being over a century old it is still tied for 7th tallest building in the city. 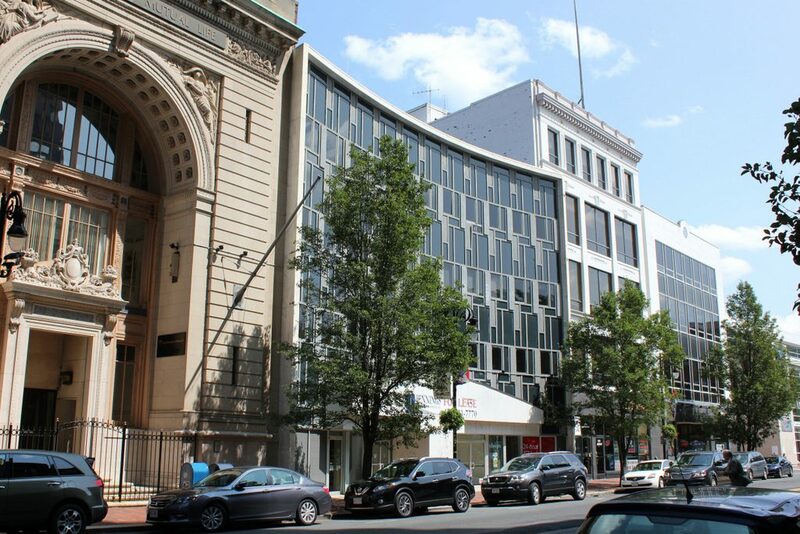 MassMutual didn’t stay here for too long, however. 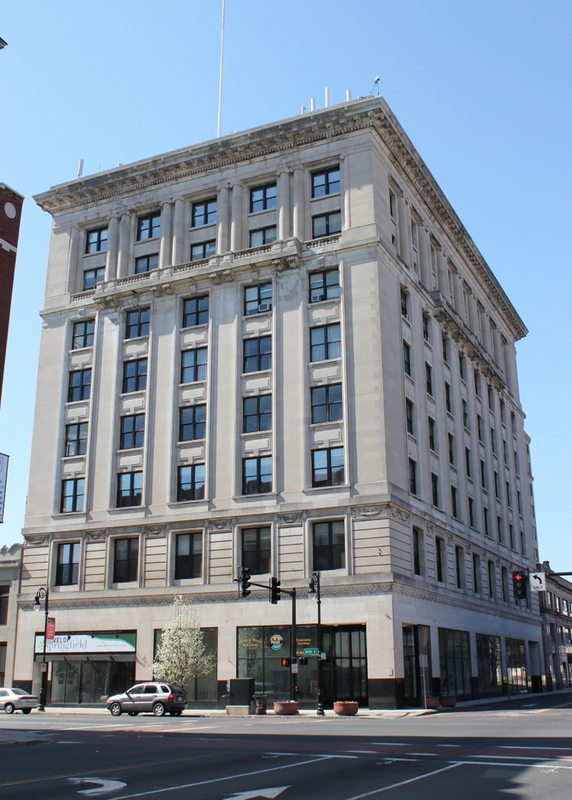 In 1927 with a continually-expanding company and little room in downtown, MassMutual moved to their present-day home a few miles up State Street in the Pine Point neighborhood. Menawhile, the historic office building here at the corner of State and Main is now owned by MGM Springfield, who plan to preserve the building for MGM’s offices once the casino is built adjacent to it.